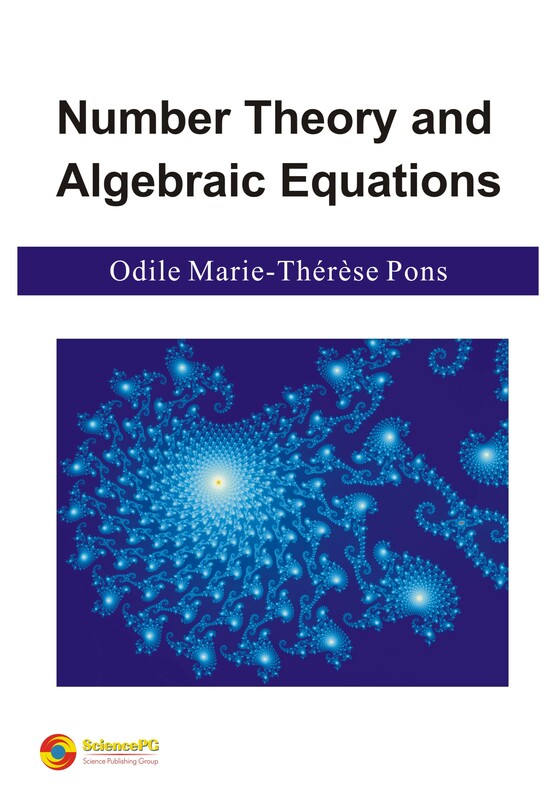 Odile Marie-Thérèse Pons is a Senior Research Fellow in Mathematics at the French National Institute for Agronomical Research. She holds MSc., doctor’s degree and habilitation qualification in Mathematics at the university of Paris. She is the author of about a hundred of peer-reviewed articles in mathematical and applied statistics and probability, and 8 books in Probability, Statistics and Analysis. The book covers the classical number theory of the 17-19th centuries with simple algebraic proofs: theorems published by Fermat (his Last Theorem), Euler, Wilson, Diophantine equations, Lagrange and Legendre Theorems on the representation of integers as sums of squares and other classes of numbers, the factorization of polynomials, Catalan’s and Pell’s equations. It provides proofs of several conjectures and new generalizations of the classical theory, with applications to the prime numbers and polynomials. A second part concerns the expansions in series of functions related to the cardinal of the primes, the functions Gamma and zeta. Several known formulas and new results are proved. A third part introduces the algebra of rings and fields in relation to the theory the polynomials and Galois’s theory, which are applied to the resolution of algebraic equations. The classical theorems are extended to polynomials and to the complex field. Numerical examples and approximately 50 exercises with proofs illustrate the main topics.